Bigby who? Is he the guy next to Jack? 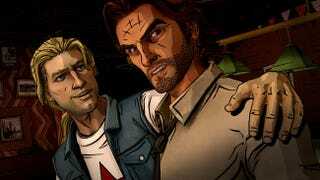 The second episode of Fables, Smoke & Mirrors, is almost ready for prime time, so Telltale Games decided to call in a little star power to finish the job. That handsome blond fellow? He's Jack, aka Jack Frost, aka Jack the Giant Killer, aka not really but we'll run with it anyway. He's kind of a big deal.